Vitamin C as Ascorbic Acid the most popular and famous immune boosting natural supplement. Doctors still recommend it, a potent antioxidant, most animals synthesise their own Vitamin C but humans must rely upon dietary sources. Vitamin C is a vital nutrient important to your health considered the "grandfather" of the traditional antioxidants we know of. And its potential health benefits are really quite astonishing. 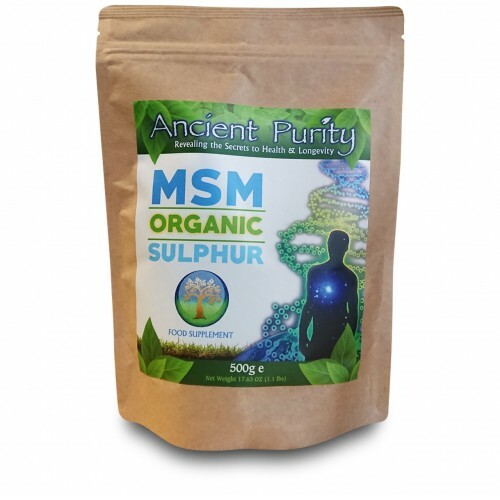 Ancient Purity Ascorbic Acid is manufactured and certified to GMP, ISO9000, ISO9001, ISO9002 and SO22000 food safety managements. This grade is widely used in both pharmaceutical and food & beverage applications throughout the UK and Europe. Our Ascorbic Acid powder is soluble in water and can be used as a nutritional supplement. 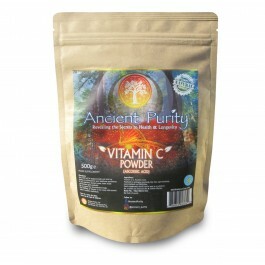 Using Vitamin C powder allows you to have freedom and control over the dose. It also means the powder can be easily mixed in with your favourite drinks juices etc. 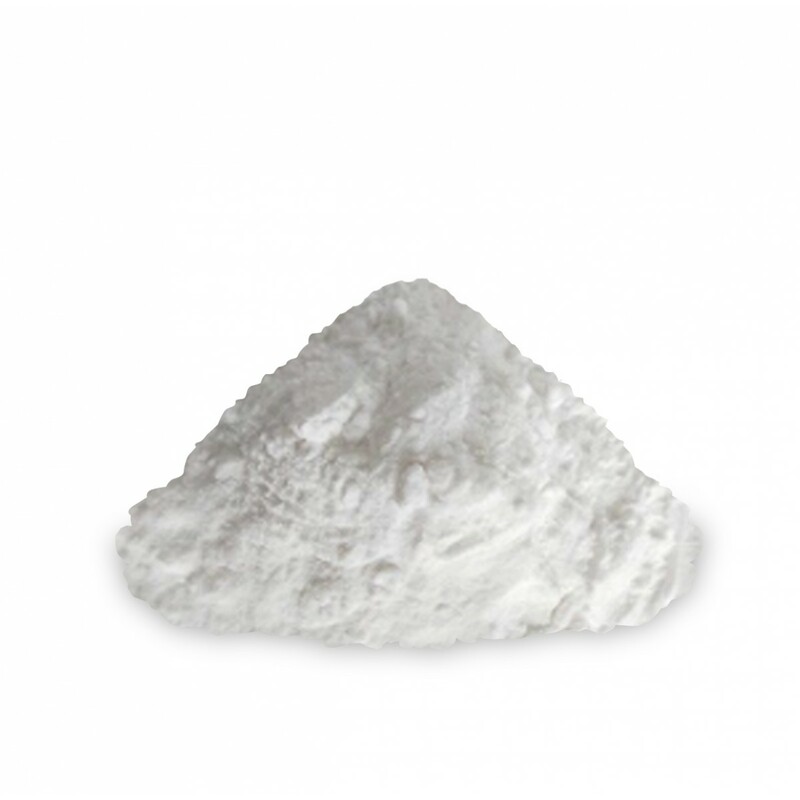 Ascorbic Acid in powder is economical. BP & USP grade is considered to be the gold standard when looking for vitamins. This is the highest grade of ascorbic acid available. In addition to its potent antioxidant and synthesis of collagen benefits, scientific research has also shown other ways this nutrient can play an important role in your overall health. Supports your Heart & healthy blood pressure. Promotes optimal electron flow in your cells. 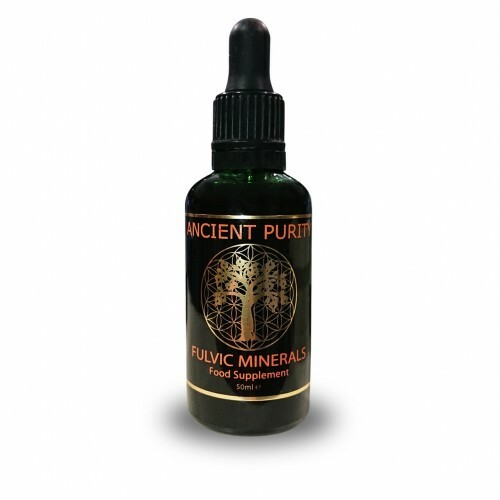 Helps promote blood vessel and arterial vitality. Boosts other antioxidants (in this case, Vitamin E). Helps promote healthy uric acid metabolism. Is a major "electron donor" in your body’s battle against oxidation. 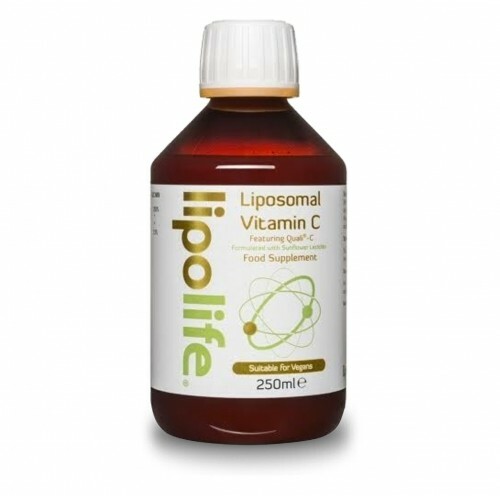 Can help protect vital molecular elements in your body such as proteins and lipids. Vitamin C strengthens the capillaries and cell walls and is essential for collagen formation. It functions in protein synthesis by changing the charge of iron so that it can be absorbed, and it works as an antioxidant. It functions in the construction of protein from amino acids. Its collagen benefits, which bind together the cells of connective tissue, help to promote healing, prevent bruising and keep ligaments and tendons strong and healthy. Vitamin C is necessary for healthy bones, muscles, blood vessels and cartilage. It's been known as the antioxidant's antioxidant, because it functions to protect both beta-carotene and Vitamin E from oxidation, too. Vitamin C is concentrated in eye tissues, supporting healthy blood vessels and can play a part in cataract prevention, research suggests Vitamin C could lower the risk of age-related macular degeneration (AMD), a common cause of blindness among the elderly. 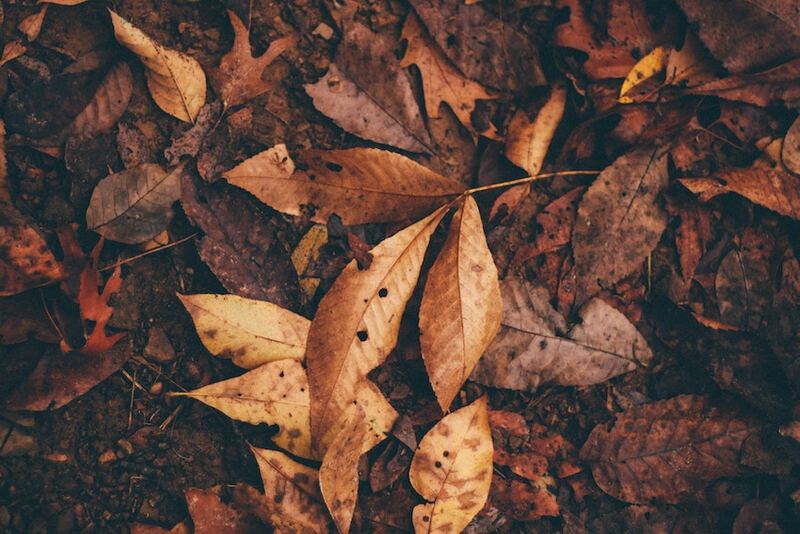 AMD is thought to be largely driven by free radical damage. The Age-Related Eye Disease Study (AREDS), sponsored by the National Eye Institute, linked AMD with nutrition found that those at high risk who took half a gram of Vitamin C, along with beta-carotene, vitamin E and zinc, slowed the progression of advanced AMD by about 25% and visual acuity loss by 19%. A 2011 study by Scientists at Oregon Health & Science University (OHSU) showed Vitamin C may play a more important role in vision health than was previously thought. 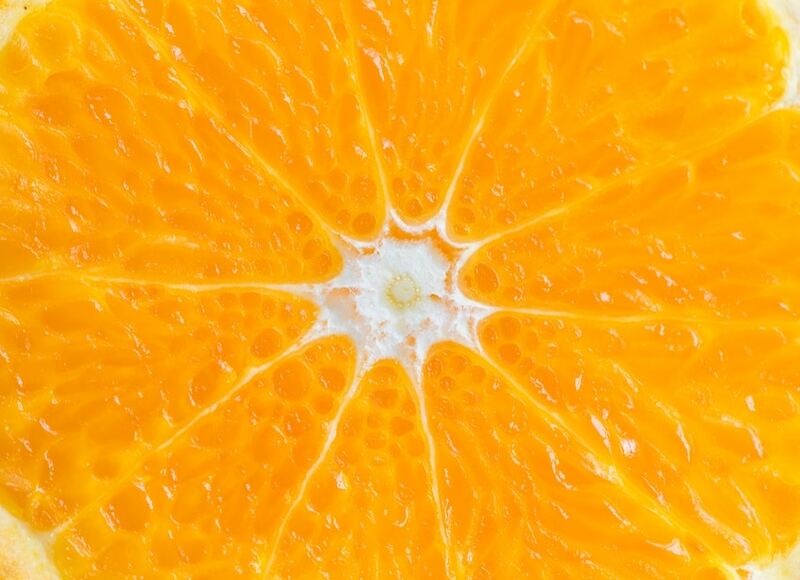 Finding that nerve cells in the eye require vitamin C to function properly. When vitamin C was removed from retinal cells, GABA-type receptors in the brain, which help modulate communication between brain cells, stopped functioning properly. The researchers believe GABA receptors elsewhere in the brain likely also require vitamin C for proper functioning, and that the antioxidant properties of the vitamin may "preserve the receptors and cells from premature breakdown." The finding could also have implications for people with glaucoma, which is caused by dysfunction of nerve cells in the retina and brain. Most people, even those who have access to raw organic fruits and vegetables, don’t consume enough on a daily basis to get the vitamin C benefits they need. And other folks simply may not have ready access to a wholesome supply of organic produce.Thus, the concern I have for potential deficiency levels in a good portion of the populations of the world… including the US. And there are other issues that can vary the vitamin C requirements for certain groups of people. Vitamin C Deficiency... Signs may include: Dry and splitting hair, Bleeding and/or inflammed gums, Rough, dry or scaly skin, Decreased wound-healing rate, Easy bruising, Unexplained and easy to get nosebleeds, Reduced immunity. Who is especially at risk? Smokers - Smokers may require more Vit C than non-smokers due to the increased oxidative stress from cigarette smoke. If you follow the RDA smokers are advised to consume 40% more than nonsmokers. 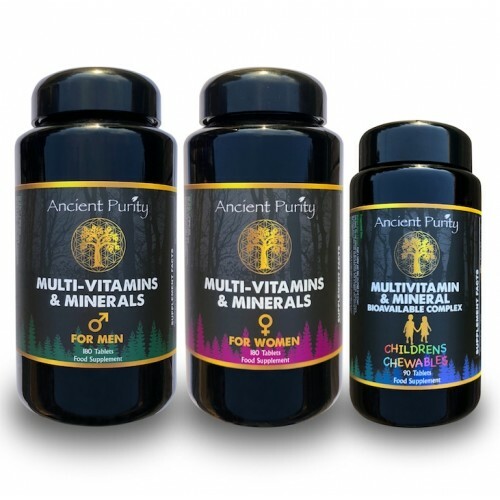 Mature adults (65yrs +) - Due to ageing absorption challenges and from differences in immune systems and lower blood levels of vitamin C.
Adult Men & Women - The RDA for adult men (19 years+) is 20% higher than adult women supposedly due to women’s decreased lean body mass. Camu Camu and Acerola Cherry contain the highest concentrations of Vitamin C. The most common sources of Vitamin C are from fruit and vegetables such as : Rosehip, Oranges, Strawberries, Raspberries, Kiwi Fruit, Parsley, Cantaloupe, Grapefruit, Cranberry, Watermelon, Grape juice, Red peppers, Cauliflower, Broccoli, Brussel Sprouts, Collard greens, Garlic, Lime, Tomato's, Lemon, Tangerine. It is also found in some animal products especially in calf and beef liver, and highest in oysters and cod roe in seafood. Vitamin C chemically decomposes in certain conditions, most notably when the containing foods are cooked. Cooking reduces the Vitamin C content of vegetables by up to 60%, this is possibly due to the destruction of the food's enzymes which is that much stronger at boiling temperatures. The longer the food is cooked the more the enzymes are affected. Sadly too often when the water-soluble Vitamin C dissolves into the cooking water it is poured away and not drank, something always done by our ancestors and still by many of our senior citizens. Its worth noting that not all vegetables lose their Vitamin C potency at the same rate with broccoli fairing the best under those conditions. In summary, it would seem the most efficient way to take Vitamin C would be to consume the vegetables listed above raw. 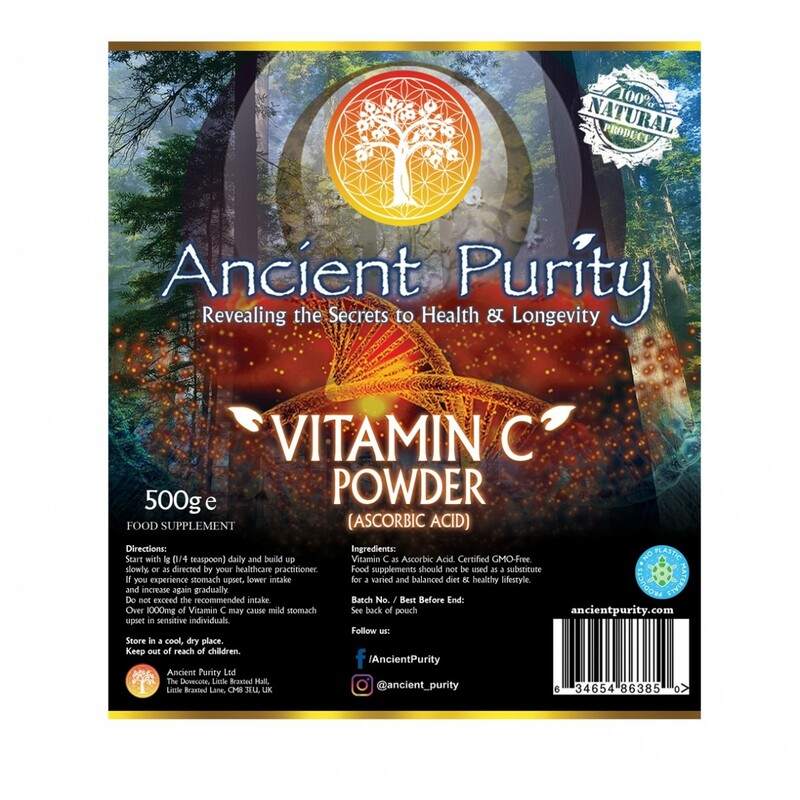 Or taking our pure powder form Vitamin C (as ascorbic acid). Remember that each vegetable contains different amounts. Vitamin C as Ascorbic Acid. Made & Tested To British (BP) & American (USP) Pharmacopeias. Adults: 1000 - 2500mg daily in water or added to juice or smoothie. Your health advisor may suggest far higher amounts. BE AWARE TO BUILD UP DOSAGE SLOWLY IF TAKING HIGHER DOSES. Pregnant /Nursing Women: According to Baby Med "Vitamin C is perfect for keeping the immune system healthy. When pregnant, the RDA is 85 mg per day, but Vitamin C supplementation is safe up to 2,000 mg. You must consult with your healthcare practitioner before taking Vitamin C during this stage. Children: According to the Daily Recommended Intake on the Baylor College of Medicine website, children between the ages of two and three need 15 mg of Vitamin C a day. Children between 4 and 8 require 25 mg a day and kids between the ages of nine and 13 need 45 mg a day. Dr Michael Colgan takes 5 grams daily. Dr Linus Pauling took 10 to 18 grams daily. Albert Szent Gyorgi, who isolated vitamin C in 1928, recommended 1 gram daily. Patrick Holford - The UK's leading Nutritionist says "Research shows that just 500mg of Vitamin C daily can cut death rates by 50%" and he takes 5 grams daily. It's your choice on how much Vitamin C you want to take, As with all vitamins and minerals it's up to you how long a period to take a supplement, some people like to do it daily for a few weeks on then a few weeks off, some just taking it occasionally. Vitamin C is totally safe, its been used for a very long time all over the world with no record of any harm caused, the only thing to remember is its laxative effect which can also lead to an upset stomach, if you decide to take large doses its recommended by many to begin slowly working your way up or you could give yourself a stomach ache. Storage: Keep in a cool dry place, keep sealed and protected from moisture. Keep out of reach of children.